Joseph A. Francis, 73, of Manchester died April 5, 2019. He was born March 18, 1946, on Lennox Island Reserve, Prince Edward Island, Canada. He is a proud Mi'kmaq Indian who took pride in his traditional way of living, and raised his family with the same values. He was predeceased by his parents, Arthur and Bertha Francis; sister, Jeanie Francis and brother, Mike Knockwood. Joseph will be remembered by his wife of 45 years, Martha Francis; his children, JoJo, Joey, Danny, Mooen, Tina, Kerry, Marisha, Misty and Fawn Francis; many grandchildren and great grandchildren; one brother, Vernon; six sisters, Rita, Shirley, Audrey, Doreen, Sheila, and Wendy; and several nieces and nephews. Joseph was a professional boxer in his mid to late teens. 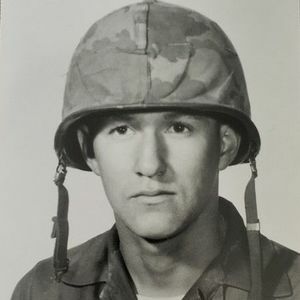 He put his career on hold to enlist in the U.S. Marines to serve in the Vietnam War where he was awarded two Purple Hearts and a Bronze Star with Combat V for his heroic efforts to save his platoon. He was a 5 time golden glove champion/New England champion and also had fought professionally in boxing for several years prior to enlisting in the Marines and after his return from war. Joseph was a man that impacted many lives. He spent several years of his life helping to develop various sports programs that helped the youth in their community. He was a volunteer boxing coach/ trainer at the MPAL for over a decade. He had trained many fighters who fought in the golden gloves and also went pro. His love for the sport of boxing and fitness ran in his veins. He has created an inter-generational positive impact and will be greatly missed by all for whom have had the pleasure of knowing him and calling him dad whether blood related or not. Joseph was a truck driver for over 25 years, then retired. His love for his boxing gym and his own workouts was a huge part of him until his final days. He enjoyed spending all his time with his family and going to their activities and sporting events. Most of all, Joseph enjoyed every moment he spent with his wife, Martha. Their love was unconditional and true, for each other and for their family. A cemetery service with military honors was held on Tuesday, April 9, 2019 at the New Hampshire State Veterans Cemetery, 110 Daniel Webster Highway, Boscawen.